Today's stocking is from a fellow Boston blogger, Lani! 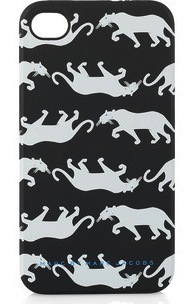 Hello readers of La vie...J'aime! Hope you and yours are having a very merry holiday season. 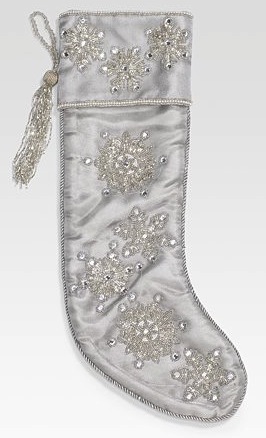 Santa (aka husband) take note, above is my dream stocking. 1. Marc Jacobs iPhone case: Santa brought me the laaaasst new iPhone, so rather than pay to upgrade (when there is sure to be yet another model out soon), I'd upgrade my case with this sleek number. Luxe upgrade on the cheap! 2. 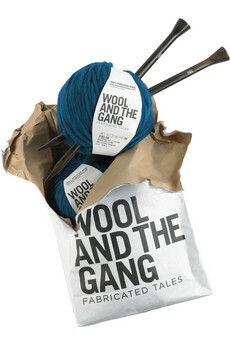 Wool and the Gang DIY Scarf Kit: I have been forever trying to knit, and this kit is just so darn cute that I know it will provide the instruction and motivation for me to knit my own scarf! 3. 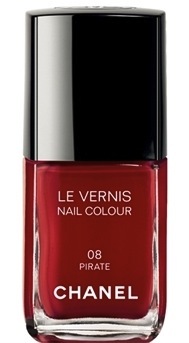 Chanel Le Vernis in Pirate: Arrrrggggghhhh. Who doesn't love a pirate? It doesn't get any more classic than this cherry red shade. I can't believe I don't own it already. 4. Scrimshaw Me & Ro Skull necklace: This would be quite the stocking stuffer. But what are the holidays without some new jewelry? I want to layer this necklace up with all kinds of baubles and rock them all at once. 5. Phaidon The Art Museum: Nine hundred plus, oversize pages covering 2,700 works of art. I love art. I love history. I love jumbo coffee table books. Clearly this has a place weighing down the bottom of my stocking (which must truly be jumbo to fit all this!!). Cute stocking; fun things Lani - I will happily wear that Pirate shade even if I had a hook for a hand. I love all the stockings Jaime- and of course have about 20 more things I want to add to mine now;) Tis the season! Thanks for having me!